New classroom, lecture, and laboratory building offering integrated science and natural resources studies. 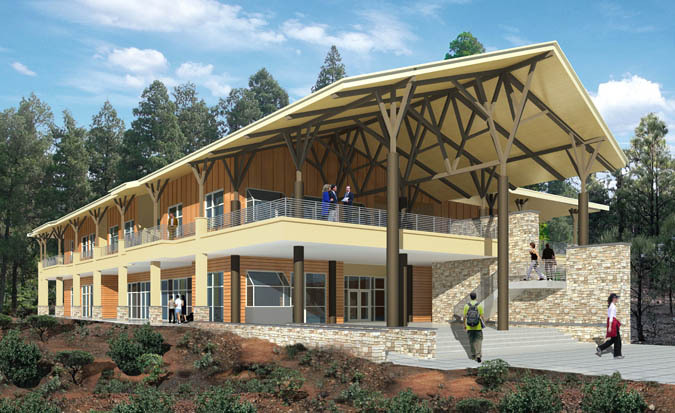 The new building will contain state-of-the-art laboratories for chemistry, biology, earth sciences, physics, forestry, geographic information systems, and nursing skills. Specialty areas include computer lab, cadaver room, chemical storage, and lecture halls. This project includes a geothermal system, VAV system, VRV system, solar domestic hot water, and evaporative cooling. The project exceeds the 2007 California Energy Code requirements by 38%.